Silent Circle: Mike Janke’s iPhone app makes encryption easy, governments nervous. Silent Circle promises to make encryption easy for everyone. Lately, Mike Janke has been getting what he calls the “hairy eyeball” from international government agencies. The 44-year-old former Navy SEAL commando, together with two of the world’s most renowned cryptographers, was always bound to ruffle some high-level feathers with his new project—a surveillance-resistant communications platform that makes complex encryption so simple your grandma can use it. This week, after more than two years of preparation, the finished product has hit the market. 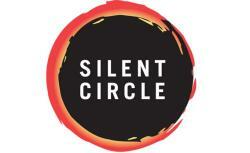 Named Silent Circle, it is in essence a series of applications that can be used on a mobile device to encrypt communications—text messages, plus voice and video calls. Currently, apps for the iPhone and iPad are available, with versions for Windows, Galaxy, Nexus, and Android in the works. An email service is also soon scheduled to launch. The encryption is peer to peer, which means that Silent Circle doesn’t centrally hold a key that can be used to decrypt people’s messages or phone calls. Each phone generates a unique key every time a call is made, then deletes it straight after the call finishes. When sending text messages or images, there is even a “burn” function, which allows you to set a time limit on anything you send to another Silent Circle user—a bit like how “this tape will self destruct” goes down in Mission: Impossible, but without the smoke or fire. Though many encryption options already exist, they are often difficult to use, which is a barrier for those without the skills, patience, or time to learn. Silent Circle helps remove these hurdles. As a result, organizations that have a real need for secure communications but have maybe not understood how to implement them are coming forward and expressing interest in Silent Circle. Almost every base seems to have been covered. Biannually, the company will publish requests it gets from law enforcement in transparency reports, detailing the country of origin and the number of people the request encompassed. And any payment a person makes to Silent Circle will be processed through third-party provider Stripe, so even if authorities could get access to payment records, Janke says, “that in no way gives them access to the data, voice, and video the customer is sending-receiving … nor does it tie the two together.” If authorities wanted to intercept the communications of a person using Silent Circle, it is likely they’d have to resort to deploying Trojan-style tools—infecting targeted devices with spyware to covertly record communications before they become encrypted. Among security geeks and privacy advocates, however, there’s still far from consensus how secure Silent Circle actually is. Nadim Kobeissi, a Montreal-based security researcher and developer, took to his blog last week to pre-emptively accuse the company of “damaging the state of the cryptography community.” Kobeissi’s criticism was rooted in an assumption that Silent Circle would not be open source, a cornerstone of encrypted communication tools because it allows people to independently audit coding and make their own assessments of its safety (and to check for secret government backdoors). Christopher Soghoian, principal technologist at the ACLU’s Speech Privacy and Technology Project, said he was excited to see a company like Silent Circle visibly competing on privacy and security but that he was waiting for it to go open source and be audited by independent security experts before he would feel comfortable using it for sensitive communications. When I asked Janke about this, he said he recognized the importance of the open-source principle. He says the company, contrary to Kobeissi’s assertion, will be using a noncommercial open-source license, which will allow developers to “do their own builds” of Silent Circle. “We will put it all out there for scrutiny, inspection, and audit by anyone and everyone,” he added. Another factor is that a number of countries are pushing for new surveillance laws that will force many communications providers to build in backdoors for wiretapping. The Silent Circle team has been following these developments closely, and it seems to have played into the decision to register offshore and locate its multimillion-dollar network outside U.S. jurisdiction. Janke says he has consulted with Canada’s privacy commissioners and understands that the new push to upgrade surveillance capabilities in Canada will not affect the company because its technology is encrypted peer-to-peer (making it technically incapable of facilitating a wiretap request even if it receives one). But what if, one day down the line, things change and Canada or another country where Silent Circle has servers tries to force them to build in a secret backdoor for spying? Janke has already thought about that—and his answer sums up the maverick ethos of his company.